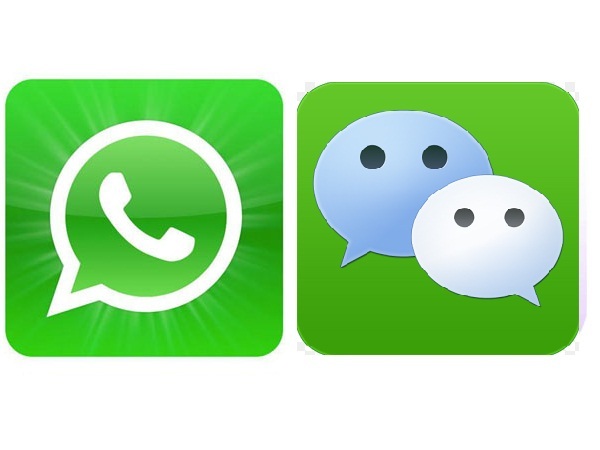 What engineering marvels have Chinese people created? The Great Wall, the Grand Canal? Or the Red Flag Canal, the Nanjing Yangtze River Bridge? Do not stay in the past, let's take a look at eight engineering marvels in today’s China! 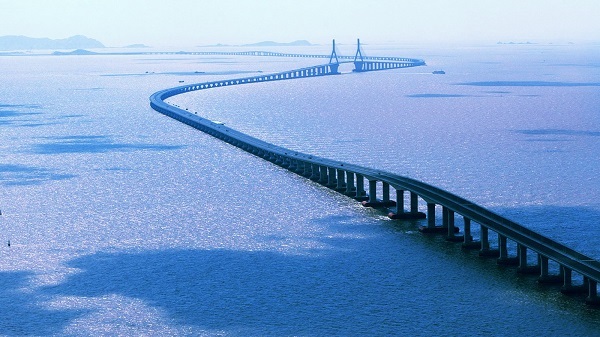 The construction of Hangzhou Bay Bridge began on Nov. 4, 2003 and it was opened to traffic on May 1, 2008. The 36km-long bridge was then the longest ocean-crossing bridge in the world. Built on the wall of a steep cliff, the breathtaking Guabi roads reach the top of the mountain. 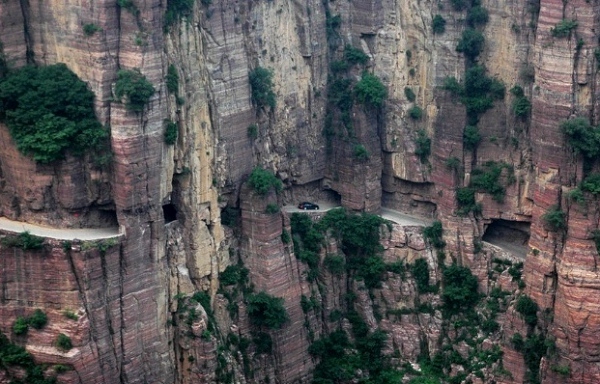 China has six roads like this which are mainly located in Taihang Mountains and southeastern Shanxi province. 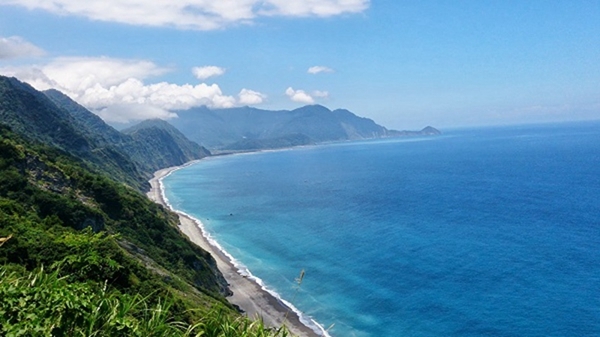 The roads are regarded as the "Ninth Wonder," "one of the world's 10 most advantageous roads" and "one of the 18 most exotic roads in the world." 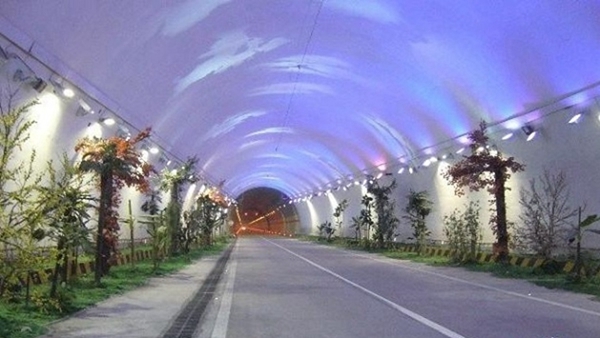 Zhongnan highway tunnel is the world's longest double-tube highway tunnel. Each tunnel is 18.02 kilometers long. It takes a car 15 minutes to go through the whole tunnel. In order to ease the drivers' visual fatigue and ensure traffic safety, special lighting belt was set up in the tunnel which worth a visit. 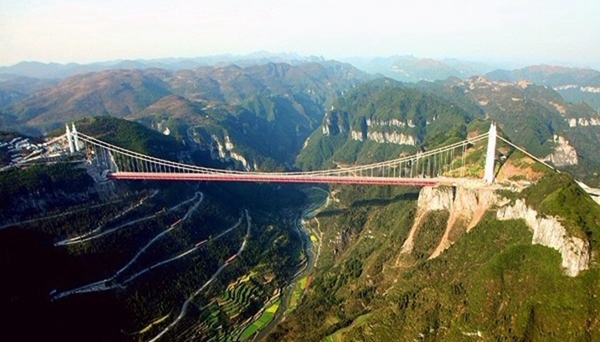 Located in Aizhai township, central China's Hunan province, the Aizhai suspension bridge links two tunnels 1,176 meters apart, carrying traffic 350 meters above the foot of Dehang Canyon. It is the third longest tunnel-to-tunnel bridge in the world. The bridge is 330 meters above the ground, with a total length of 1073.65 meters and the main span of 1,176 meters. The bridge goes across the Aizhai Grand Canyon. Its main span ranks the first in Asia and the third in the world. 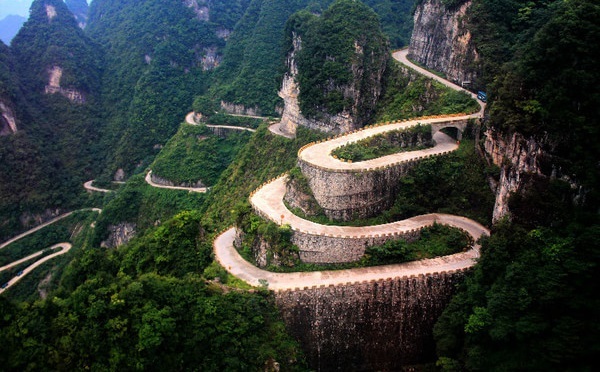 Located in Zhangjiajie, Hunan province, Tianmen Mountain Winding Road is hailed as the “The Road to the Heaven.” The winding mountain road is 10.77 kilometers long, rising dramatically from 200 meters to 1,300 meters above sea level with steep cliffs on both sides of the road. There are 99 bends in total and many of them are 180 degrees sharp turns. The long-winding road looks like a huge dragon ascending from the bottom. 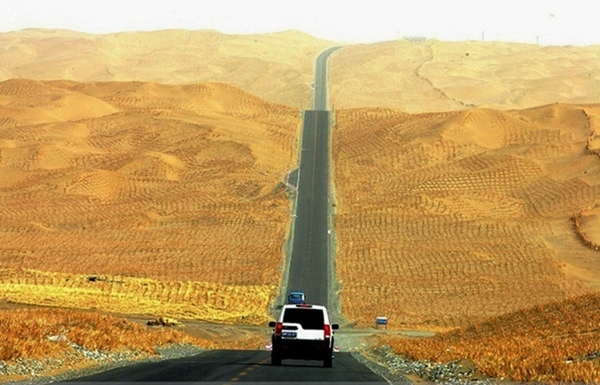 Tarim Desert Highway runs across the Taklimakan Desert, known as the “sea of death,” from north to south. It offers the best conditions for those who hope to self-drive across the entire desert. It usually takes about 5 hours to travel across the desert, on the way visitors can see exotic desert landscapes and the thousand-year old Populus trees. Sichuan-Tibet, Qinghai-Tibet and Yunnan-Tibet, and Xinjiang-Tibet highways all have excellent sceneries and therefore are rider’s paradise. 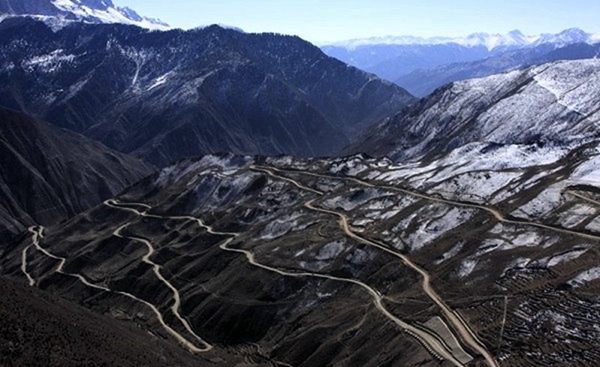 The Sichuan-Tibet highway is part of National highway 318 and also a landscape avenue in China.